New Software pushes your GMB maps rankings like never before. Even If You Are A Complete Beginner! it’s success took even us by storm! Within just 2 months we had over 500,000 driving directions maps created. Unfortunately, our servers just couldn’t handle the volume, so we were forced to withdraw it from the market and redesign. NOW it’s back in a new desktop version and even better than before! EXACTLY WHAT YOU ARE GETTING??? First of all, this isn’t like any imitation software on the market. This is a professional software providing a simple way to power up your local listings with masses of geo-relevance! See you can use this system to create driving directions maps that not only push your rankings but also provide a useful aid for customer conversion. 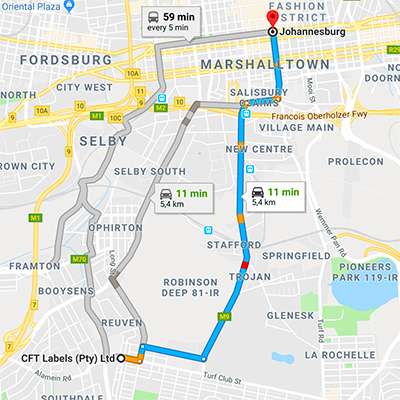 For example, you can use these maps to let customers know how far away they are from your business or how quickly you can be with them to provide your professional services. You simply embed the appropriate map on the web page required, and you have a fantastic visually compelling graphic coupled with the addition of added geo-relevance that Google wants to see to rank your site! SO WHAT CAN THIS LITTLE MARVEL DO? Create instant GEO authority by building point to point maps for your chosen business and destination locations at the click of a mouse. Power up your listings in under 1 second by using the built-in intelligent orbital maps builder-puts an instant ring of geographic authority around your local business location. 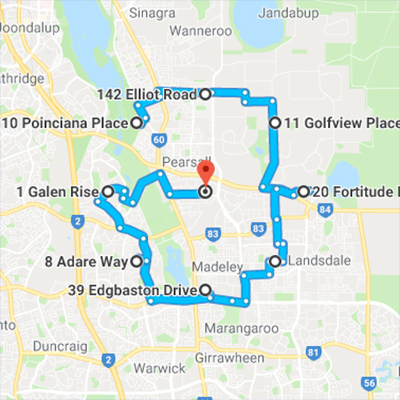 Create the ultimate Google ring of trust when you utilise the onboard radial driving directions maps creator - This feature has to be seen to be believed! Create powerful HTML anchor text maps links on the fly-no HTML experience required! Supercharge your Iframes with schema markup - So simple even your Grandma can do it! Plus You Get Full FREE membership to our EXCLUSIVE GMB mastermind group. Full training is provided along with ongoing strategy sessions and general ranking tips for GMB and Local. THE PERFECT ADVANCED SYSTEM FOR SUPERCHARGING YOUR LOCAL RANKINGS! After purchasing this software, you’ll hold in your hands the most advanced and yet so simple to use driving directions maps creation tool. Driving directions maps have been utilised by savvy local SEO professionals for a while now because well they flat out work! But building them has been a long and boring job until NOW. You’ll learn how to create these powerful maps quickly and effortlessly with only a few minutes learning curve-seriously just a few minutes! We have literally designed this software so a child can use it. The best part of this is that it’s specifically designed for people with better things to do than learn and run new software! Listen. If you don’t like spending your valuable time learning frustrating new techniques and software, then we’ve got you covered. We can’t stand it either. We’d rather spend our time recruiting more clients and making more money than wasting it on some complicated tool that will eventually just gather dust on your hard drive. When you use this system, two things will happen. First, you’ll drive more traffic to your listings which will likely result in more calls for your clients. 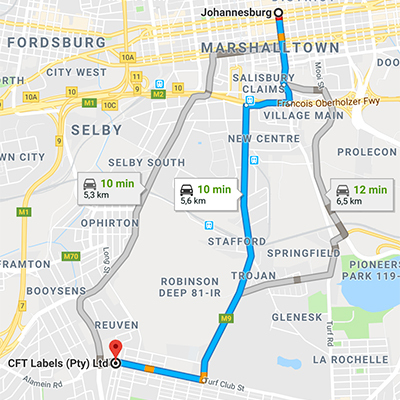 Your clients are going to love you even more than they do now when they see their business showing up in the maps search and the phone is ringing. You won’t be pulling your hair out trying to figure out how to use the new software you just purchased. Instead, you’ll have more time to find more clients and make more money! Look, maps ranking is a bit of an art, and we all need tools to help us get that much-needed boost but what we don’t need are overpriced gimmicks that don’t deliver. With this system, you clients are going to love you and so is your bank manager because we are keeping the price LOW to make this a no-brainer offer! This software is priced at $147 which is a bargain, but during this launch special we are offering it to you for just $87 one time, plus annual maintenance and upgrade fee of just $30. But if you BUY TODAY, we are going to take an additional $20 off the purchase price making your investment TODAY just $67! This incredible tool has been referred to as a “lifesaver”, “best of its type” and “simply amazing” by some of the worlds leading local SEO experts, and now you have the chance to pick it up for next to nothing! We realise you may be thinking that at this price there must be a catch? We know that it’s normal to be offered a great deal only to find out that next there’s an upgrade offer and without the upgrade, you don’t really get the benefits as advertised. Well, we just don’t work that way! With us what you see is the price you pay to unlock all the goodies. Now while we are really nice guys, we can’t keep this offer open for too long so grab this TODAY while you can and see just how amazingly simple and effective it is for yourself. During this training, we’ll walk you through exactly how to get the best from this incredible tool. You’ll see how we use the tool in our business to stoke up our maps rankings. Where to place your maps for maximum impact. How to structure you driving directions maps to overcome Google’s proximity filter. Plus a whole host of other advanced strategies including keyword selection and where to place your anchor text map links. In fact, we think it’s THE BEST GUARANTEE YOU COULD WISH FOR! We 100% guarantee if you don’t think this is the best and easiest software of it’s kind and you have set it up correctly as per our instructions, we will refund you! 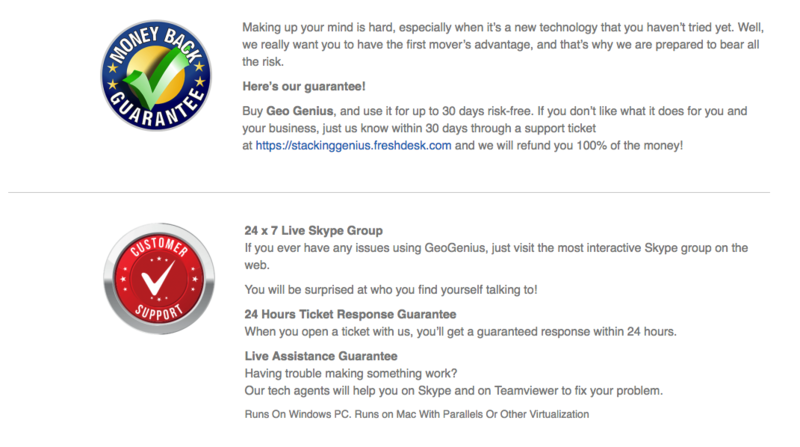 We will even do team viewer sessions to help you get going! What’s more, you are welcome to stay in our exclusive Skype training group at no cost after your refund. That’s how confident we are that you are going to love it! This truly is a limited offer so claim your license now before this price disappears for ever!